As a curious young boy of just seven years old, Jonas Amstad had his first stint in the service industry. A chance to work at his godfather’s restaurant at such a young age opened his eyes to the world of hospitality. And he has never looked back! In his nearly 40-year long career, Amstad has landed jobs in Eastern Europe, the Middle East, China, the islands of the South Pacific, and the Indian Ocean, and through a succession of senior hotel roles. Fluent in English, French, German and Russian, the Swiss-born hospitality professional is a true citizen of the world, and has worked in all aspects of hotel management, ranging from food and beverage to operations. He has also developed an exceptional understanding of the needs, tastes and expectations of travellers from a multitude of cultural backgrounds. 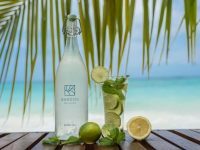 It is against this background that LUX* Resorts and Hotels in September appointed Amstad to lead the Mauritius based hotel group’s resort in the Maldives, the LUX* South Ari Atoll. At LUX* South Ari Atoll, Amstad is responsible for ensuring that the resort stays ahead of the curve, while enhancing and enriching the guest experience that has earned it a loyal following and a global reputation for excellence. His challenge also includes steering the award-winning resort on its mission to bring the LUX* signature ‘lighter, brighter’ holiday experience to a diverse international clientele. 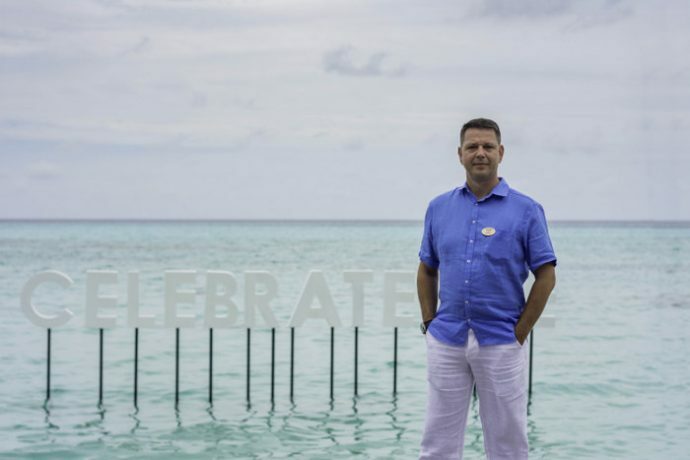 As Amstad returns to the Maldives as the General Manager of LUX* South Ari Atoll, Maldives Insider speaks to him about his new posting and his take on the rapid expansion in the Maldives tourism industry. 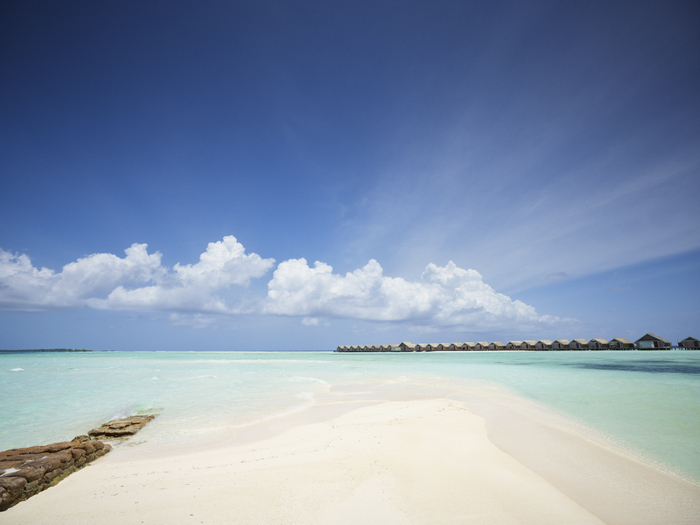 Maldives Insider: What were your earliest experiences in the industry? Jonas Amstad: I had my first encounter with the service industry when I was seven years old, in the restaurant of my godfather. I later joined an apprenticeship programme as a cook. From there, I further developed my career as a chef, and later on in different positions in F&B and operations management until I became a GM. I’ve worked in the industry for nearly 40 years. This is my 27th year in a foreign country and my second time in the Maldives. MI: What was your first experience in the Maldives? JA: I’ve been in the Maldives before on holiday for about three times. I know what the Maldives looked like and what it has to offer to tourists. That’s probably one of the reasons I accepted my first job in the Maldives. My first time was at Shangri-La’s Villingili Resort and Spa in 2015. It was a different experience compared to many of the other locations I’ve worked at. I don’t think there’s any other place in the world where you work with people from so many different nationalities. On this island alone, we’ve over 42 different nationalities. It has a lot of challenges, but it also comes with a lot of excitement because you get to experience different cultures. That was and still is quite interesting to me. I always believe that the more different nationalities you’ve around you, the better you become because everybody has to find themselves at a common ground in terms of respect and acceptance. I was at Shangri-La’s Villingili for a shorter period than that was agreed because I was promoted and asked to go to China. Since it was the Shangri-La hotel in the hometown of the group owner, it was the most important property in the portfolio. MI: What made you join LUX*? JA: Since I knew the Maldives, I was certainly excited to come back. The nice weather, the fresh air and the beautiful surroundings compared to China were an easy catch. The older you get, the more you appreciate the clean air and other benefits that you get to enjoy here in the Maldives. MI: What makes LUX* different from other brands you have worked with? JA: It’s not so stiff like many other big brands where the framework is a bit more strict in terms of dress code, the target market and so on. Here it’s more relaxed, more guest oriented, and more personalised in terms of service and how we approach the guests. I’d say it’s more of a family connection between employees and guests. I don’t think there’s any other resort in the Maldives where you see so many names of employees mentioned in guest reviews. It’s a remarkable achievement. That proves that there’s a very close relationship between guests and employees. Hospitality industry has changed a lot over the past few years. It’s no longer about just providing accommodation or facilities. 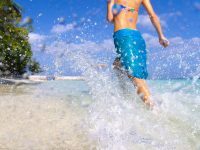 Guests now look for adventurous holidays, educational holidays, interactive holidays, active holidays and personalised holidays. They want to have a good relationship with the employees. And that’s what LUX* South Ari Atoll offers. MI: How would you lead your team in adapting to the changing travel trends? JA: I think we’ve already adapted to the changes. Looking at where we’re standing, I think we’re going in the right direction. But we need to keep on adapting. We’ve to keep listening to the guests because at the end of the day I’m not running the hotel for my own purposes. I’ve to run the hotel in the way the guests like it. 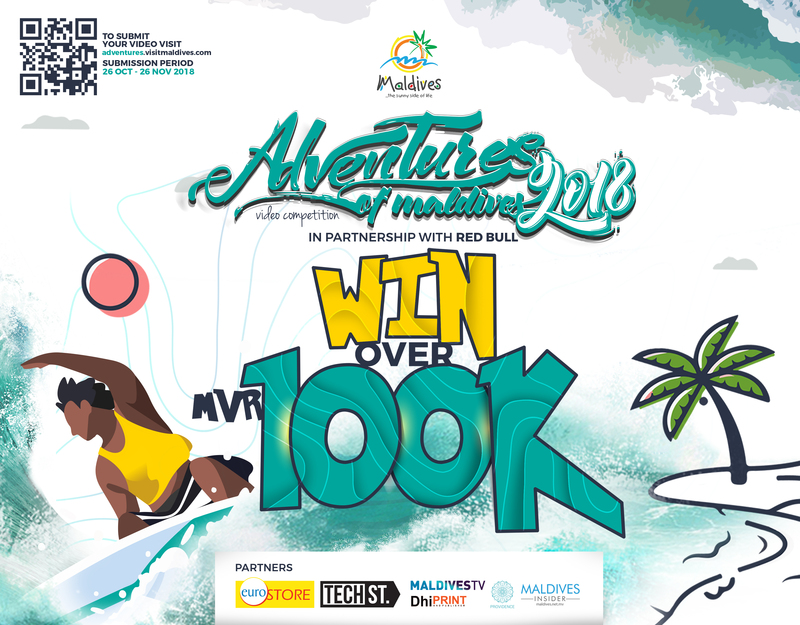 MI: How do you see the rapid expansion in the Maldives tourism industry? JA: It’s a good thing that the industry is growing. We’re all putting our hopes in other investments and infrastructure. The new airport will help all of us in the industry. The Maldives is a unique location that has a lot to offer in terms of scenery and environment. It’s a dream destination. The increased accessibility will help grow the industry. Tourism is the only industry the Maldives really has and we need to be very careful with the resources we have. I believe we, as owners and operators of resorts, along with the government should focus on developing infrastructure and protect the environment. There are a lot of media reports that say that the Maldives will be underwater in so and so years. I don’t believe that; I think the Maldives will be here in the next 100 years or even more. But we need to take care of the environment, the marine life and the coral gardens. MI: In light of the new developments that are taking place, there are concerns of an oversupply. 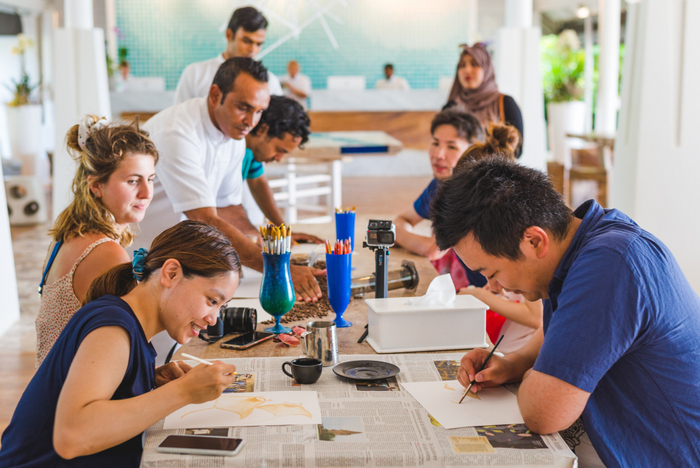 How do you think it will impact the Maldives as a destination? JA: If you’re talking about the five-star segment, there’s an oversupply at the moment. But once the airport expansion is complete and is fully operational, the infrastructure will allow the numbers to increase and offset the oversupply. 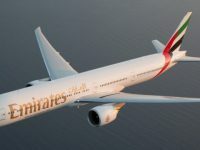 The airport will also make it more accessible to more markets such as three- and four-star markets whose guests might want to stay for only three or four nights on a lower budget. It’s a good thing that the Maldives is becoming more accessible to other markets because not everybody can afford a five-star hotel. Middle class people from other markets want to see the beauty of the Maldives as well. It’d be a shame to not allow them just because five-star hotels want to protect their marketshare. At the end of the day, it’s up to the guests to decide if they want to pay 200 dollars a night or 1,000 dollars a night for their holiday. Boosting accessibility will also increase the repeat guest segment. For instance, a guest might want to pay 200 dollars on their first trip to the Maldives. Then get a new job and have more money, so they choose a four-star hotel on their next visit. And when then they get older, they come here and choose a five-star hotel. I don’t see it as a threat. I see it as an opportunity. I think the market will regulate itself. We only need to ensure that we’ve the infrastructure to bring in more people. MI: How do you see the increasing competition? JA: Competition is growing everywhere and it’s a good thing. It gives the opportunity for guests to choose between different levels of hospitality. It’s like in nature; the strongest will survive and the weakest will vanish. It’s a natural phenomenon and we’ve to embrace it in the industry. I think if we continue to invest in infrastructure, in people and in our way of promoting ourselves, we’ll survive. MI: In terms of destination marketing, do you think enough is being done? We need to do more. I was in Japan and South Korea just a few months back. Travel agents and tour operators tell us that marketing is currently done by individual hotels. More should be done by the government. Otherwise, it won’t make a difference even if the government built a fantastic airport and allowed Airbus A-380s to land. You can have the facilities to bring in more customers, but if they don’t know about the destination, they won’t be interested in coming here. 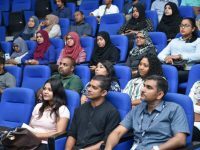 MI: What should be done differently to promote the Maldives as a destination? 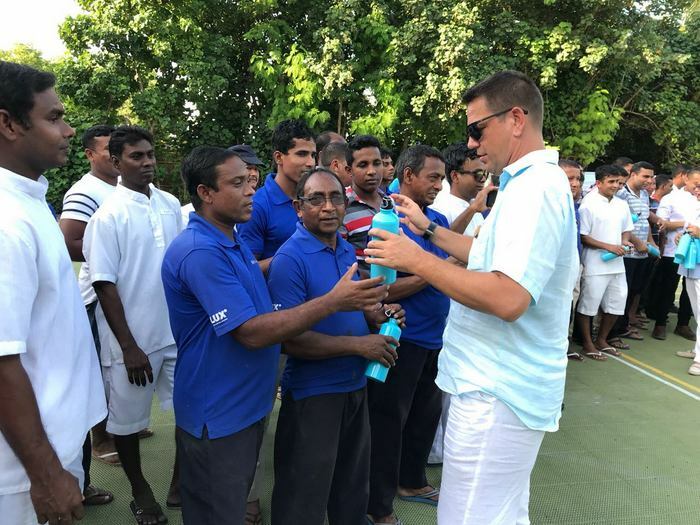 JA: Local Maldivians need to go out there, to other destinations to promote their country. Who can promote their own country better than their own citizens? When people see a Maldivian promoting his or her country, everyone will see that it’s coming from the heart. It might take a bit of time for these efforts to yield results, but I’m sure the return will be higher. MI: What’s next for LUX* South Ari Atoll? Are there any initiatives you would be implementing soon? JA: I’ve a lot of ideas in my mind, probably too many. 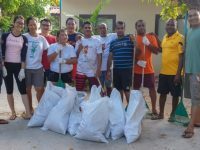 But more than anything, I believe that we’ve to take care of take care of our environment because that’s the only reason guests come here. They come here to see the beautiful beaches, the magnificent marine life and coral gardens. So, at LUX* South Ari Atoll, we’re very conscious of what goes in the sea. We’ve also started regenerating our reef by coral planting. We’ll hopefully begin breeding clownfish and other marine life. In the future, we’ll also invest in alternative energy such as solar and wind. I strongly believe that certain monitoring measurements should also be incorporated and implemented in our operation. Note: This interview originally appeared in the third issue of our print edition, Maldives Insider Travel & Tourism. A digital copy can be viewed on Issuu.